Lymphoma Action | Thank you London Marathon runners! Thank you London Marathon runners! A huge thank you to the 37 runners who took part in the 2018 London Marathon to support Lymphoma Action. Everyone at Lymphoma Action would like to say a big thank you to all of our dedicated #TeamLymphoma runners who took part in the 2018 London Marathon yesterday (Sunday 22 April) – the hottest London Marathon on record! 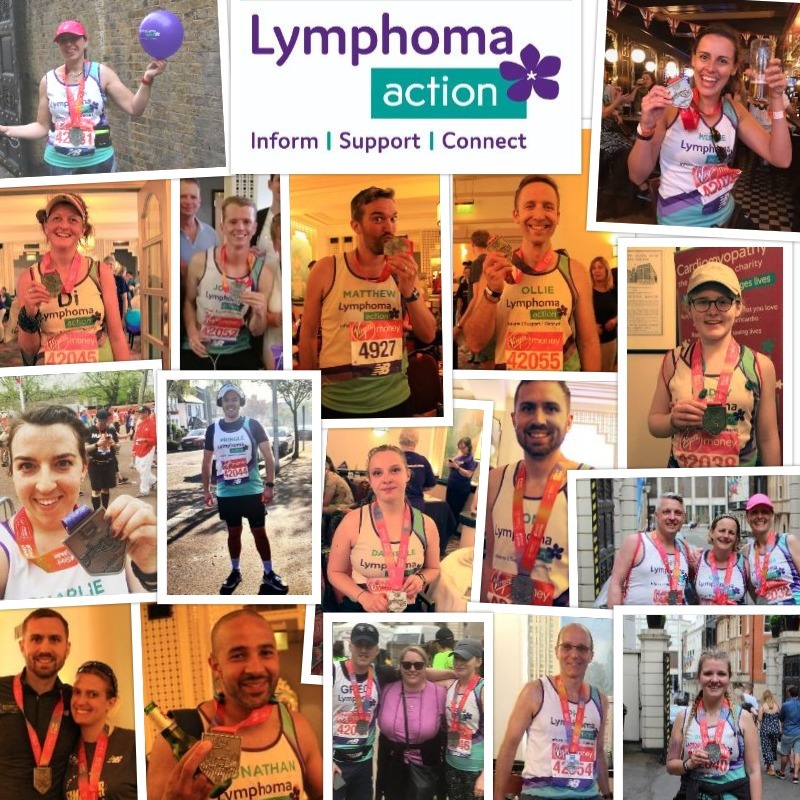 This year Team Lymphoma was made up of 37 runners, some experienced, some first-time marathon runners, who took to the streets of London each with their own personal story about why they wanted to run for Lymphoma Action. We rely entirely on fundraising to carry out our work supporting people affected by lymphoma, so we are extremely grateful for the money everyone has raised for us. Update: Our 2018 London Marathon runners have raised nearly £70,000 to help people affected by lymphoma - thank you! And t​​​​hank you to our anonymous donor who gave £5,000 to support the fundraising efforts of our amazing marathon runners. Run, walk, cycle, swim… take on a challenge your way and become a fundraising hero! We'll be with you every step of the way. Every £1 that you raise is used to support, inform, connect and raise awareness of lymphoma - the UK's 5th most common cancer.